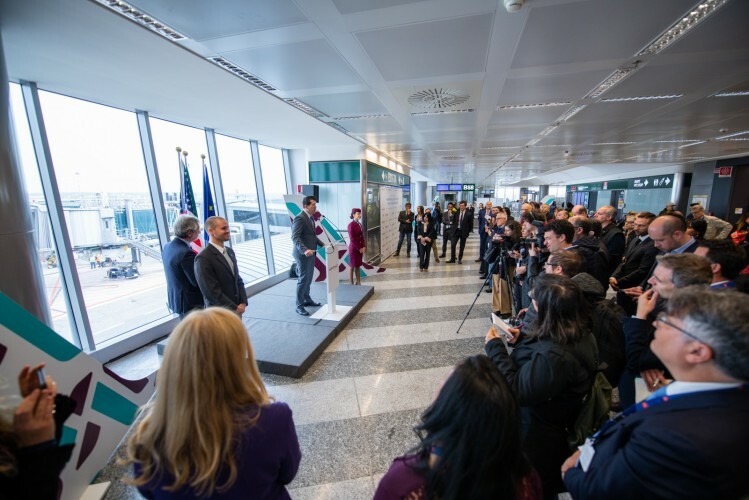 Air Italy started its first non-stop flight to San Francisco, taking off from Milan Malpensa at 1.35 pm, adding a fourth direct service to the United States, following last week’s launch of Milan–Los Angeles and the launch last year of Milan-New York JFK and Milan-Miami. Air Italy's Chief Operating Officer, Rossen Dimitrov inaugurated the new four times weekly Milan-San Francisco IG937 service with a traditional cake and ribbon cutting ceremony and warm thanks to SEA Aeroporti di Milano officials, departing passengers and the media before the takeoff was marked with a celebratory water cannon. Mr Dimitrov, said: “We are proud to be here for the second time in just eight days to launch our fourth new direct route to the United States and our second to California. It is a great pleasure to add San Francisco to our network as it is sure to be a success with both our leisure and business travellers. “San Francisco is undoubtedly one of the world’s great cities. Famous as being the gateway to Silicon Valley and the Napa wine region, the city has undoubtedly been a catalyst for many social, cultural and economic developments since its founding way back in 1776. “And with the city being named after St Francis of Assisi, the connection with Italy is clearly at its very foundations. “A few days after having introduced the flight to Los Angeles, Malpensa continues to grow Westward thanks to Air Italy, with a new important investment in California: San Francisco. The importance of this destination is not just in terms of tourism but will also help to link the world of business by serving one of the richest places in the world, the Silicon Valley, the cradle of technology. “Air Italy’s decision to add yet another intercontinental flight is a further sign of the trust in our airport and in the vast catchment area”, says Andrea Tucci, SEA’s Aviation Business Development Director. “It’s another piece we add to the puzzle of destinations that customers can reach from Malpensa. 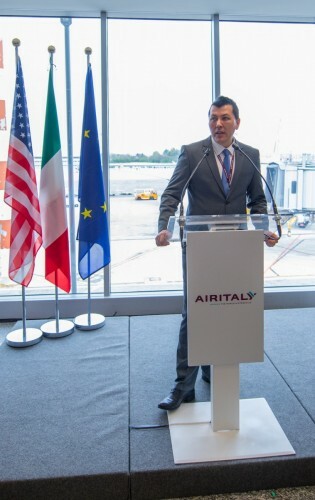 The services we provide to Los Angeles, together with the connection to San Francisco, which was inaugurated today, have the potential of generating an estimated annual air traffic of about 350,000 passengers in Northern Italy. Over the past few years, we have improved the airport both in terms of the infrastructure and in terms of the services offered to airlines and passengers, and we want to reassert that we are strongly committed to continuing to provide the best quality of service to all those carriers that have chosen Milan Malpensa”. 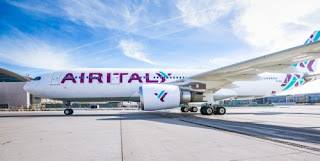 The new flights to San Francisco operate four times weekly (Wednesday, Thursday, Saturday and Tuesday) with Air Italy’s new Airbus 330-200 offering 24 seats in Business and 228 in Economy class. The service benefits from seamless domestic connections between Milan and central and southern Italy, namely Rome, Naples, Palermo, Catania, Lamezia Terme, Cagliari and Olbia. 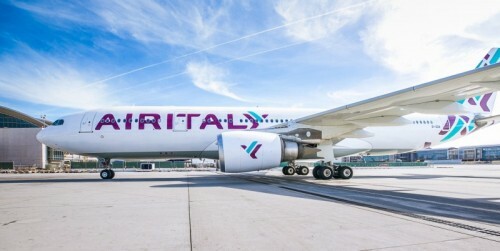 For the San Francisco service, Business Class passengers will benefit from Air Italy’s completely new on-board business product that was revealed just last week on the first Milan-Los Angeles flight. Featuring an entirely new tableware, in-flight dining menus, cutlery and chinaware that have all been specially crafted to meet travellers’ expectations, Air Italy’s Business Class passengers will enjoy an even more elevated experience. “Complementing this is our new dine-on-demand service, meaning our Business Class customers can select from our extensive à la carte menu at any time, and in any order, to create their own unique dining experience – all of which delivers yet again on our brand promise as we help our customers to – Imagine The World Differently,” added Mr Dimitrov.